Rowland Jack is the founder of sports governance consultancy I Trust Sport. He will address some of the challenges facing the governance of international sport through a case study of a recent consultancy project: an independent governance review of the World Squash Federation, which was commissioned by the federation itself. After two unsuccessful attempts to join the Olympic Games, divisions between the World Squash Federation and the professional tour damage the interests of squash, which is also constrained by limited resources. Rowland will explain how some of the specific issues in squash are relevant more widely in international sport. 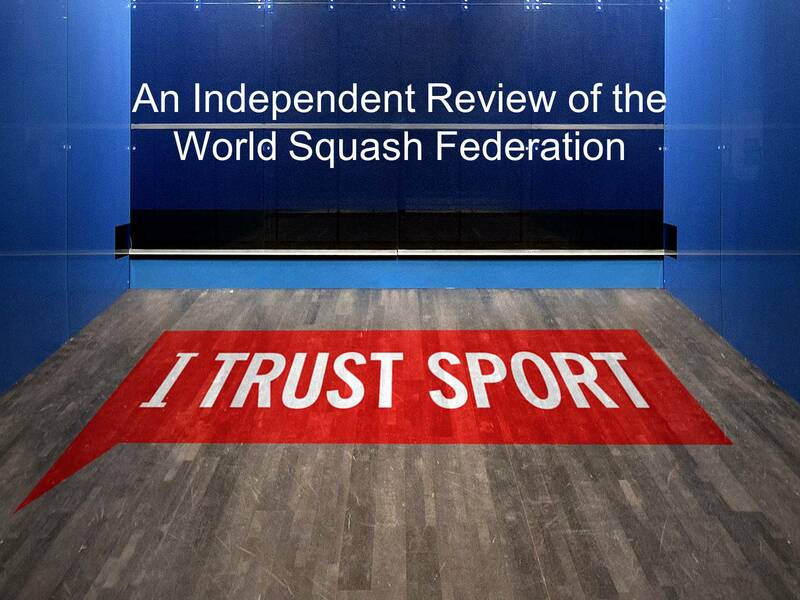 Rowland Jack discusses the key themes from the I Trust Sport – Independent Review of the World Squash Federation with Birkbeck School of Business, Economics & Informatics Communications Office Lucy Tallentire – see interview. Rowland set up sports governance consultancy I Trust Sport in 2013. The company is dedicated to improving international sports governance in a collaborative way. I Trust Sport works with federations, sponsors, individuals and other bodies in sport on projects to bring about genuine change. Recent work includes governance reviews of international sports federations and research for the Council of Europe on sports governance activity across multiple European countries. From a number of months in 2015 and 2016 Rowland worked in-house as a governance consultant at UK Sport, the national high performance sports agency, helping to develop the new Code for Sports Governance. Before taking on his role as a sports governance consultant he worked in sports marketing and communications for more than 10 years in several countries, including at six editions of the Olympic Games, summer and winter.